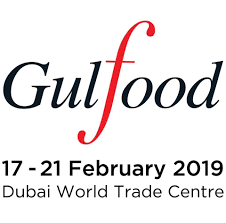 Innovation is the main focus for this year’s agenda at the Gulfood Innovation Summit to be held at the Dubai World Trade Centre from February 17th – 21st. The World of Good. The World of Food. The 3 day conference will focus on innovation, consumer trends, opportunities, and flavors. Join over 98,000 visitors and 5,000 exhibitors (including Interra International) at this truly global food event. Come together with industry experts and key food & beverage influncers to discuss the state of the market, trends, challenges, and innovations that can have a profound impact on your business. Discover Zone – Products and trends in health/wellness, hot/cold beverages, confectionery, meat/poultry, snacks, condiments, and dairy. Halal World Food – showcases Halal products including vegan, vegetarian, meat/poultry, canned goods, energy drinks, goumet, and more. Gulfood Innovation Awards – celebrating and rewarding excellence across brands and products industry-wide; 4 new categories added this year. Barbeque Masters – witness this celebrity fire cooking event, including meat selection, preparation, and cooking. CxO Club – a social breakfast club built for risk-taking executives; by invitation only. Tea House – specialty tea offerings with tastings, master classes, food pairings, and sommelier demos. Cezve/Ibrik Championship – a showcase of skill and coffee mastery, mystery drink challenges, and interactive performances. Exhibitor Showcase – learn what today’s consumers are focused on with respect to food and well-bring in this interesting and educational forum. With this extensive agenda, it is easy to understand why it is a truly global event with an incredible attendance from visitors and exhibitors. We look forward to meeting with you at the exciting event. Please contact us for more information or to set up a meeting.